After 15 years away from the Broadway stage, and well-known as a romantic lead, British star Michael Ball is making his return to Broadway in the most anti-type of roles – Count Fosco in Andrew Lloyd Webber’s The Woman in White. Before being buried under latex, and a fat suit for an evening show, the star gave BroadwayWorld the scoop. The experience in London was so great that there was no hesitation when the offer came to reprise the part, traveling alongside fellow import Maria Friedman to open the show on Broadway. “I was already scheduled over here doing Patience at the New York City Opera, and they’d been saying that it’s off and on, as to whether or not we could do the show in the timeframe that they wanted to. Finally everything fell into place, and they asked me if I’d come, and of course I’m going to say yes - of course I am, because it’s a great honor. It’s an honor for me, because I think that there was probably an element of gimmick casting in England, because I’m far better known there than I am here in the United States. The work ethic of Broadway performance is something that impressed Ball both 15 years ago in Aspects of Love, and again today. “Everyone’s really, really focused here I think, and from the bottom up, there’s a real sense that ‘we have a really serious job to do and we’re going to get it done,’ and you work, work hard to get it right. It’s kind of a little more laid back in the UK, so I think that it’s nice for people like Maria and myself to inject a bit of fun into an American cast – to bring humor, and lighter moments, sending things up a bit – which is kind of our style to diffuse a situation. For us, it’s nice to be surrounded by this focused energy. For example, I doubt that in the UK that Maria’s understudy would have been as prepared as Lisa (Brescia) was to go on after the third preview, and to get on there and to do it. She’s brilliant, and she was phenomenal in the part. She’s doing her own show (in the ensemble), has her own track to follow, her own characters, costume changes, blah, blah, blah – to let alone have the time to think about learning the other track – never mind learning it – and was great." Broadway is happy to have Michael Ball back as well… The Woman in White opens on Thursday, November 17, 2005. 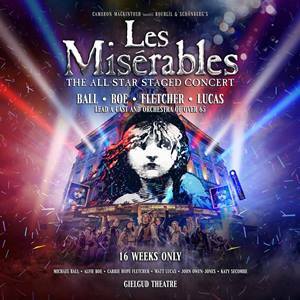 For more information on the show, or to purchase tickets - click here. 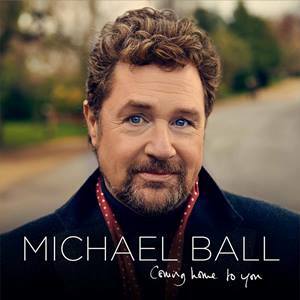 For more information on Michael Ball, click here to visit the star's official web site, or here to visit the star's official fan club site.